If you live in an older home, you may be able to have it listed in the National Register of Historic Places. Do you like the architecture of older buildings? Or maybe you live in an older home yourself and would like its history to be recognized? That’s what the National Register of Historic Places is for! As part of the National Park Service, the National Register of Historic Places is a program that strives to protect the historic buildings of America. It was created under the National Historic Preservation Act in 1966. Today, over 93,000 properties from all over the country are listed! 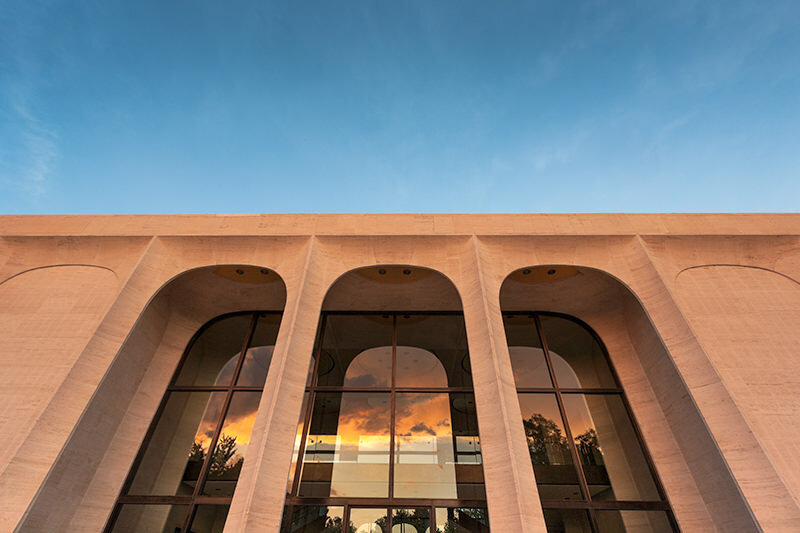 The Sheldon Museum of Art in Lincoln, Nebraska is listed on the National Register of Historic Places. The National Register of Historic Places is so wide-reaching that nearly every county in the United States has at least one property listed. Structures, like bridges, as well as whole neighborhoods can be protected by the National Register of Historic Places, too. This protects designated buildings and from being torn down and can make researching information about a building or structure easier to research– lots of local libraries will retain and compile records for historically designated structures. If you are a lover of history, you know that preserving history is just as important as learning it. 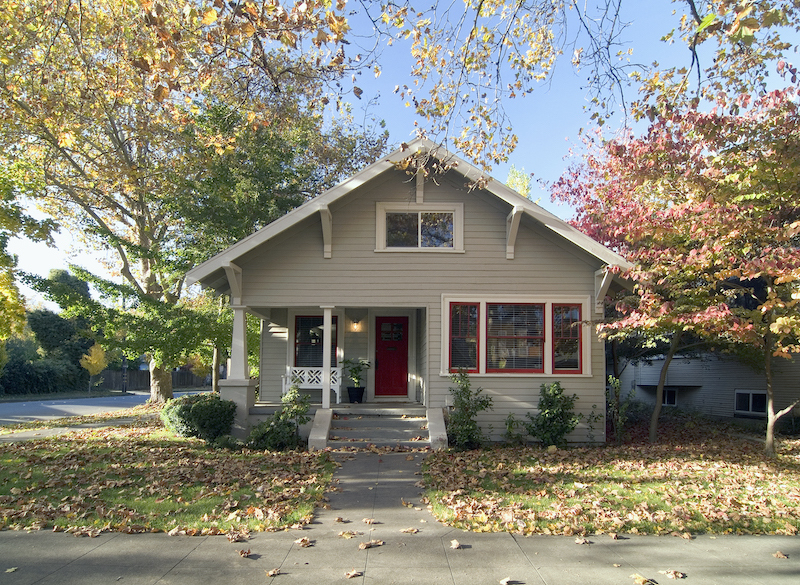 A historic gray bungalow with a red door. Properties that are protected are those that are significant to the community and play a role in American history—whether this be culturally, architecturally, or archaeologically. After these properties are listed, if there are funds available, they are qualified to receive federal grants. These grants fund historic preservation so that both current and future generations will be able to experience history first hand. 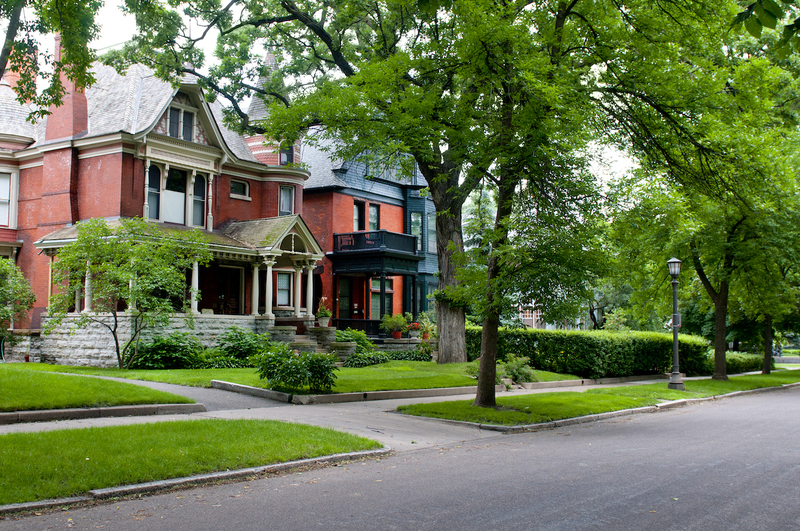 Home in a quiet urban neighborhood in St. Paul, Minnesota. A building or property has to be at least fifty years old to be listed in the National Register of Historic Places. If your property is listed, you can even get a plaque that displays your home’s history. Visit the National Register of Historic Places here to learn more. For more historical cottages, check out these articles about one of the oldest homes in Connecticut, restoring a home to its roots, or updating historical cottages!